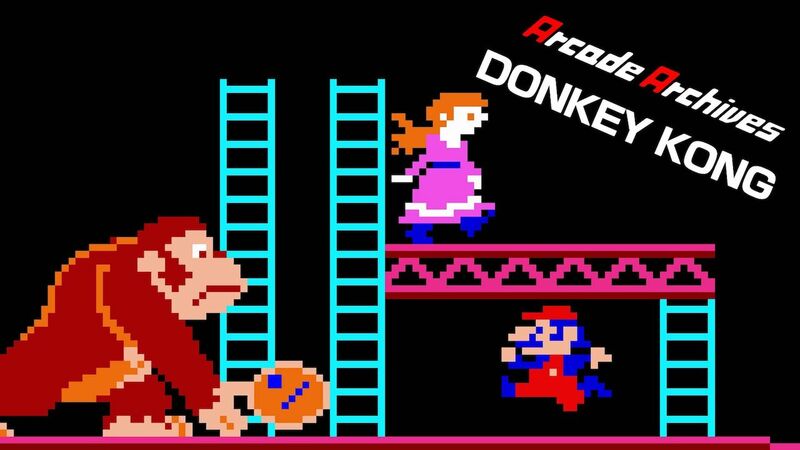 Nintendo and Hamster Corporation have sprung one last surprise for E3 2018, in that Arcade Archives Donkey Kong has now released on Nintendo Switch. Shown on Nintendo Treehouse: Live @ E3 2018 earlier today, Donkey Kong is an unexpected addition to the Arcade Archives series, which looks to faithfully reproduce classic Arcade masterpieces on the portable home console. The game was first released in arcades way back in 1981, and, after having little success, is credited in having helped Nintendo to finally break into the North American market. As most of you will already know, it challenges the player to avoid obstacles on a construction site while trying to rescue Lady (or Pauline) from the disgruntled ape. You can use a hammer to destroy the barrels and fire that is headed in your direction to earn more points. Donkey Kong soon became a popular game for speedrunners and those wanting to chasee the highest score, and, in Arcade Archives Donkey Kong, you will have the chance to play both the early and later versions as well as the international version. Arcade Archives Donkey Kong is now available on the Nintendo eShop for Nintendo Switch worldwide, priced at £6.29 (€6.99 / $7.99).